You might think that you’re too savvy to be tricked into slipping your credit card into a skimming device that steals your account info, but you’re probably not. Just ask the Indiana State Police, whose troopers were fooled by one skimmer, and who are now using the incident as a teachable moment for everyone. “It was recently discovered some Indiana State Police fuel cards were compromised and one particular card was used for over $1,000 in fraudulent charges,” Indiana State Police in Indianapolis announced. Police say all the affected cards were used at a particular gas station in central Indiana. Investigators are still looking into it, but skimming devices are likely to blame. “We are asking area gas stations to regularly check their gas pumps and report any suspicious activity to police,” ISP said. • Look for wires hanging out of access panels, and damaged or broken locks on the gas pump. • Look at other gas pumps to be sure the credit card readers all look the same and use your fingers to physically pull on it. • Look for tamper-resistant seals on access panels. 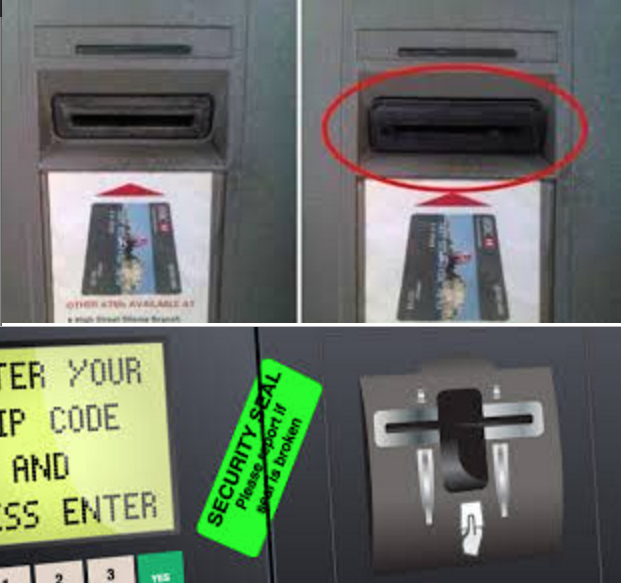 • Avoid entering your PIN at a gas pump, or if you must, be sure to shield it with your other hand (note: this is to keep hidden cameras from capturing your PIN as you enter it). • If anything looks suspicious about the pump, report it to an employee and go to another location. • Diligently check your credit card statement each month for fraudulent charges. Criminals often use stolen credit card numbers to make small purchases ensuring it will work before racking up large amounts of money. Think your card has been comprised? Contact your credit card company immediately and report it to the police.